Sale and delivery of plants, organisation of the cultivation and grading operations, cultivation planning. In 2004 I successfully completed my study of Industrial Engineering and Management Science at the Technical University of Eindhoven. After I had completed my education, I and my brother Peter both started working for our family company together with our father, Peter Sr, and our uncles Herman and Jan. After an ‘explorative’ year I decided to continue working at our nursery and to become an established staff member. In 2007 our uncles Herman and Jan retired from the company and Peter and I joined it, to continue it together with our father and mother. The ideal opportunity for me to apply the wide field of ‘industrial engineering and management science’ in our own company: producing and marketing a fine home-grown product while managing and continuously improving all the business processes involved. 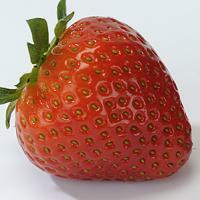 Sonata, one of the tastiest strawberries with a good colour and a good, constant shape!